Why Are People Afraid of Root Canals? Many people associate root canals with causing pain, but the truth is that they actually end pain. Since the purpose of a root canal is to save a tooth that’s been severely damaged or infected, people are usually in fairly severe pain beforehand. That’s part of the association, but also, many people had root canals done in the distant past before anesthesia had been fully developed. Understandably, that would have been very difficult to get through! Unfortunately, the “horror stories” from that time have lingered and still affect people’s perception of this procedure today. Thankfully, modern dentists wouldn’t dream of doing a root canal without making sure their patient was completely numb and comfortable first! How Does a Root Canal Benefit You? Not only are root canals much easier than people expect, they also provide an invaluable service: saving teeth. There’s no doubt that teeth are precious. You get just one set of adult teeth, and even though there are wonderful replacement options, nothing is quite as good as the real thing! Each of these scenarios damages the nerve of the tooth, which results in terrible pain until it’s taken care of. 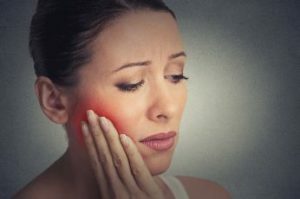 An endodontist in Hackettstown performs a root canal to remove the damaged nerve tissue so that you won’t feel any sensation and can be pain-free. It’s never fun to learn that you need a root canal. But now you know that it’s easier than you expected, hopefully, you won’t feel nervous beforehand. And afterward, your tooth will be restored so you can enjoy many years of great oral health! Dr. Zahir Khokhar holds multiple specialty degrees in dentistry and has decades of experience doing a wide range of procedures. He understands that root canals are often scary for patients and wrote a blog for Root Canals Awareness Week to ease those fears. If you have any questions, he can be reached via his website or at (908) 850-0005.